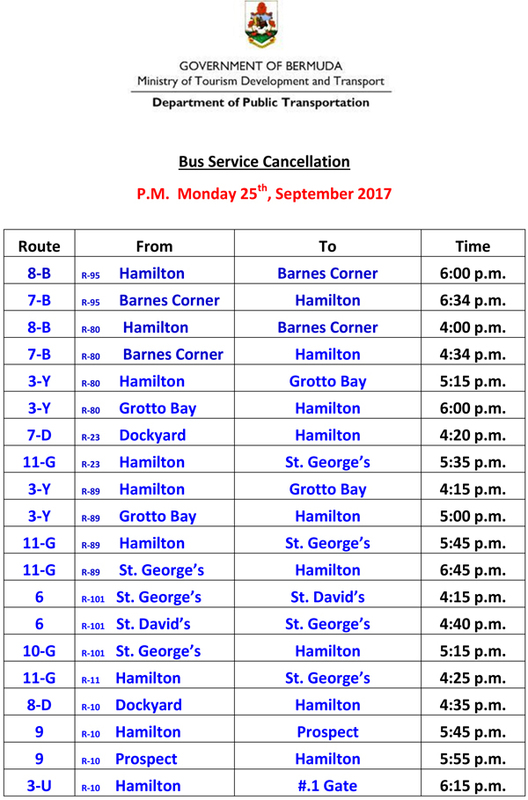 The cancellation of bus runs continue, with the Ministry releasing a list of bus cancellations for this afternoon [Sept 25] showing 29 bus runs cancelled today. The cancellations have been an ongoing issue for some time, and in a statement earlier this month, the Department of Transportation said, ““The total number of 105 buses is down from 10 years ago when there was a fleet of 123. The weighted average age of the vehicles is over 10 years, while the industry standard is less than 7 years. This is crazy. Why does PTB continue to announce the cancelations moments before??? It’s wrong and unfair to de public. What pisses me off more is no one gets held accountable. Hey now calm down busses don’t grow on trees you know. 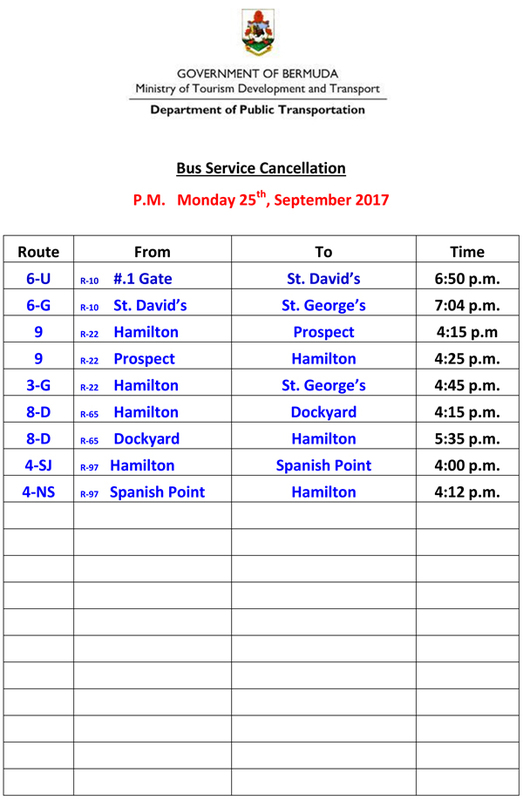 The cancelled busses should be announced in time for people to plan alternative transportation. Moments before is unacceptable. Hold your government accountable. you spell like this BUSES not BUSSES Learn to write proper English and spelling if your going to try be be a smart a$$! STOP WORRYING ABOUT THE BUS AND WALK TO WORK. WE HAD TO USE THE $$$$$$$$$MONEY FOR AMERICAS CUP & THE DOCTOR. B……. 3 YEAR COURT CASE FOR DE HOSPITAL IN BOSTON. America’s cup paid for itself, and more. Grand Altlantic, School building overruns 60 million + and excessive amounts on golf course 20 million = not so much. You must be a clown from the oba that got lost in the 12 seat loser circus. The Bermuda tax payers paid big for the sail boat race now we don’t have any buses for the people. The AC MADE money for Bermuda. The Grand Atlantic LOST money for Bermuda. Way over your head, apparently. Didn’t realize the number$ were tabulated on AC yet. Where could I see them, please and thanks? Haha got you wexxed dat time. What exactly is the problem with PTB these days, and why has it not been solved? Is it lack of parts? Is it lack of mechanics? Or is it simply the BIU doing its best to piss everyone off yet again without having to take the blame? All the buses brought in under the contract the previous Plp government were obsolete. Hence no spare parts. What are the drivers without buses doing? Why are we training new drivers on a daily basis? I thought PLP was going to fix stuff like this. All they spend their money on is trips as far as I can see. PLP needs to buy new buses now. We voted the other lot out so that you would fix things for us grassroots Bermudians. Why is this not fixed yet. My special persons card is useless.